In my 21 years as an entrepreneur, I would come up for air once a month to religiously read the Harvard Business Review. It was not only my secret weapon in thinking about new startup strategies, it also gave me a view of the management issues my customers were dealing with. Through HBR I discovered the work of Peter Druckerand first read about management by objective. I learned about Michael Porters’s five forces. But the eye opener for me was reading Clayton Christensen HBR article on disruption in the mid 1990’s and then reading the Innovators Dilemma. Each of these authors (along with others too numerous to mention) profoundly changed my view of management and strategy. All of this in one magazine, with no hype, just a continual stream of great ideas. For decades this revered business magazine described management techniques that were developed in and were for large corporations – offering more efficient and creative ways toexecute existing business models. As much as I loved the magazine, there was little in it for startups (or new divisions in established companies) searching for a business model. (The articles about innovation and entrepreneurship, while insightful felt like they were variants of the existing processes and techniques developed for running existing businesses.) There was nothing suggesting that startups and new ventures needed their owntools and techniques, different from those written about in HBR or taught in business schools. 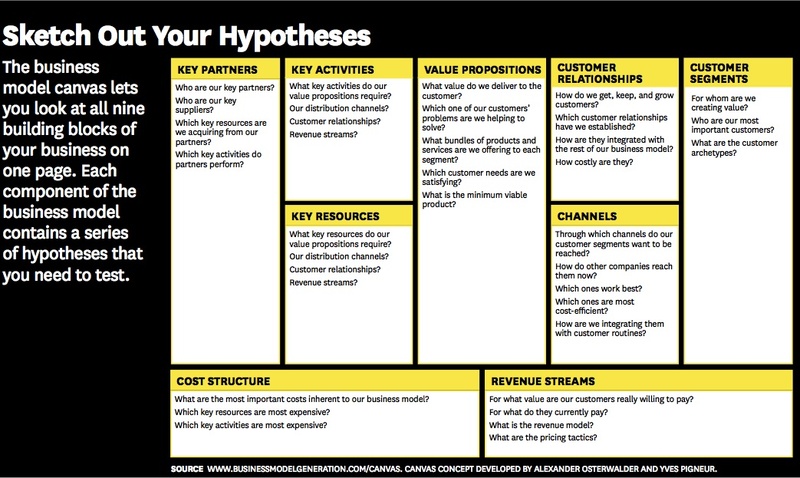 Alexander Osterwalder‘s inspired approach to defining the business model in his bookBusiness Model Generation provide a framework for the Customer Development and the search for facts behind the hypotheses that make up a new venture. 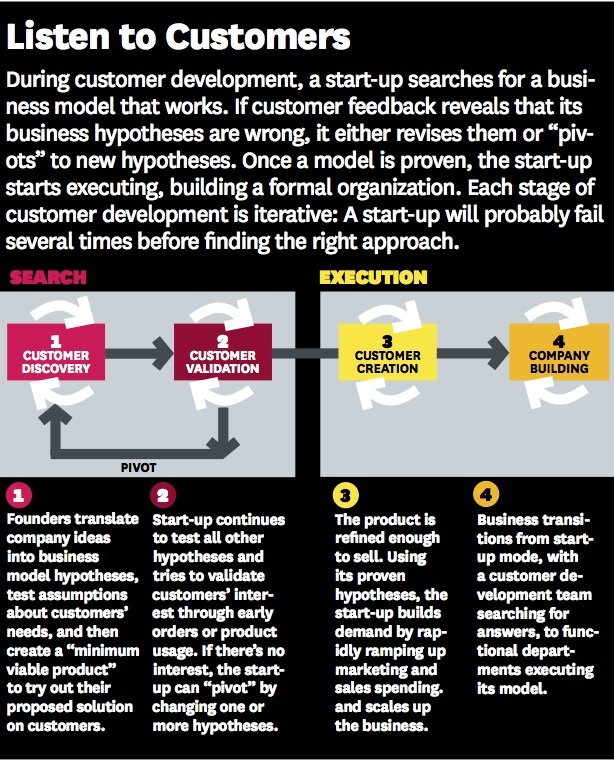 Osterwalder’s business model canvas is the starting point for Customer Development, and the “scorecard” that monitors startups’ progress as they turn their hypotheses about what customers want into actionable facts—all before a startup or new division has spent all or most of its capital. For the next month, The Harvard Business Review is providing free access to the cover story article, “Why the Lean Startup Changes Everything. Go read it. Thank you Steve for an informative post, looking forward to the “cover story.” Not particularly pertinent to my line of business, but interesting all the same. Keep up the good work!